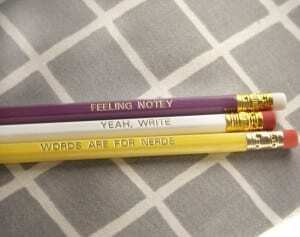 Feeling notey? Yeah, write. Words are for nerds! Check out our new set of engraved pencils! They are clever AND pretty. How many pencils can make that claim?! We love to be a little different from the crowd after all! We came up with these 3 designs based on our different pencil moods. That sounds mad, but we are a little bit off our rockers… in a good way of course! Our Words Are For Nerds pencils are for when we like to geek out and go drawing. There is nothing more satisfying by sitting by yourself and drawing in a coffee shop. A picture is worth a thousand words, so if you cant say it, doodle it! 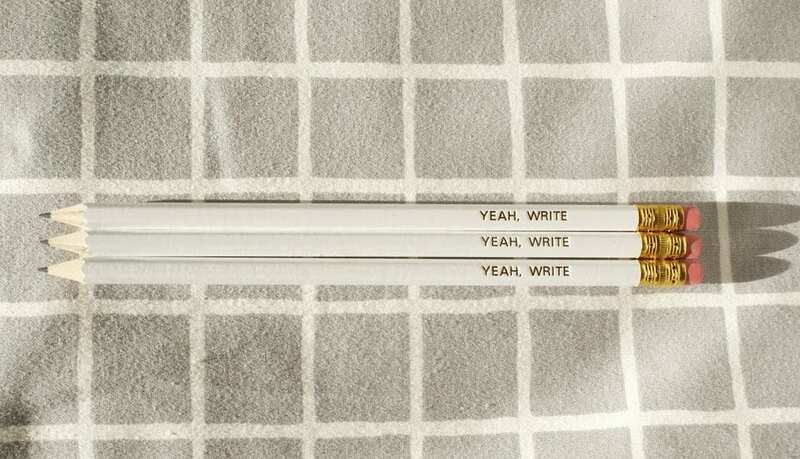 Our new Yeah, Write pencils are for writing letters to our favorite people. 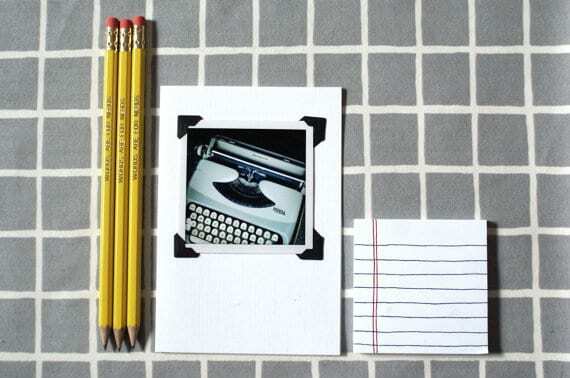 We love to write letters rather than emails as snail mail is the best thing in the world. 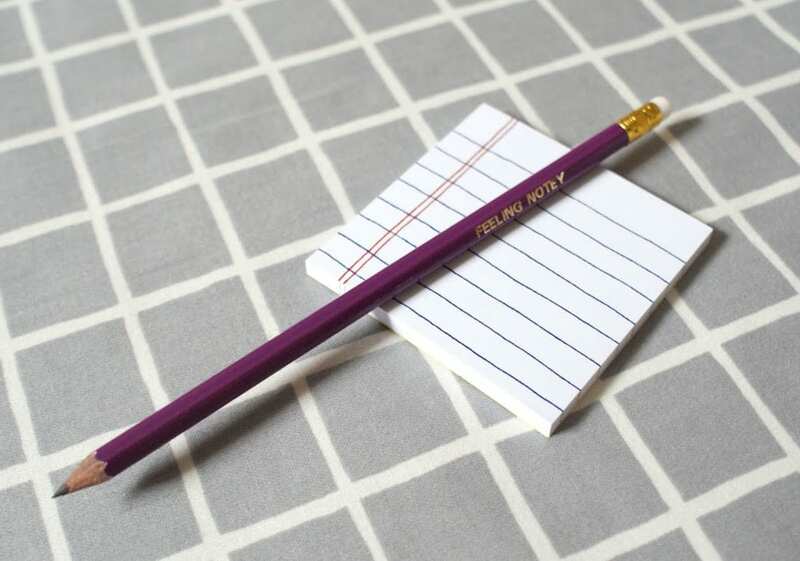 Forever gossiping and writing total nonsense, we couldn’t resist making a pencil that makes fun of our tall tales! 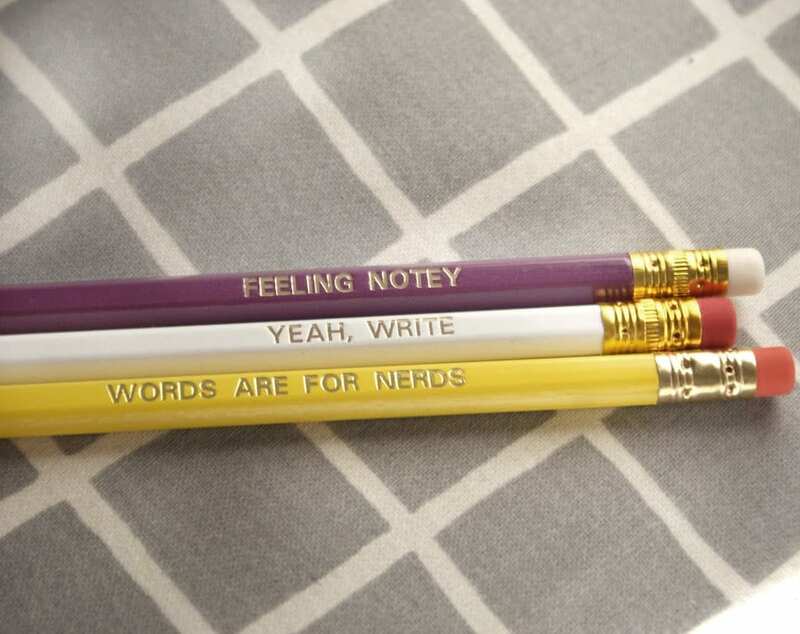 See, there really is a pencil for every mood, right?! I love these! 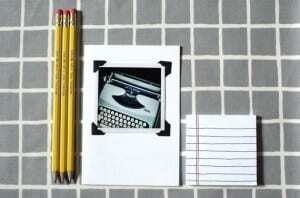 They’re so great:) I’ve been eyeing sets like this for a while- I think your messages have just the ‘write edge’ haha. OK maybe I’m nerdy too. Thanks Nancy, it’s lovely to hear that you like em. We are all about expressing your inner nerd, it’s what makes us US! 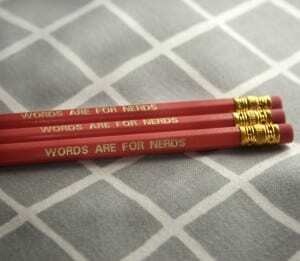 The nerd in me likes these pencils. I will have to mention the yellow ones in next week’s Friday Finds post. The theme is sunshine yellow.